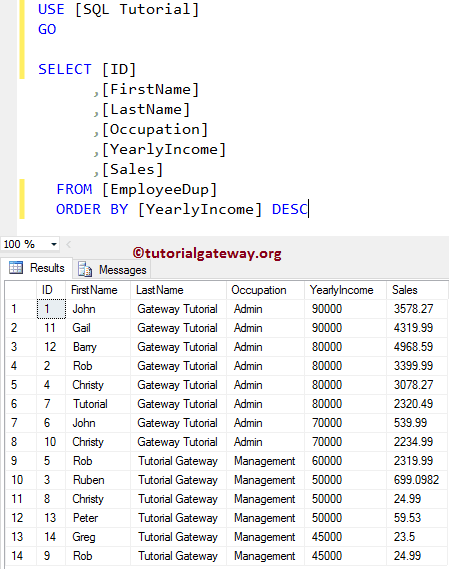 In this article, we will show you, How to write the UPDATE Statements inside the SQL Stored Procedure, Or How to write UPDATE Stored Procedure in SQL Server with an example. 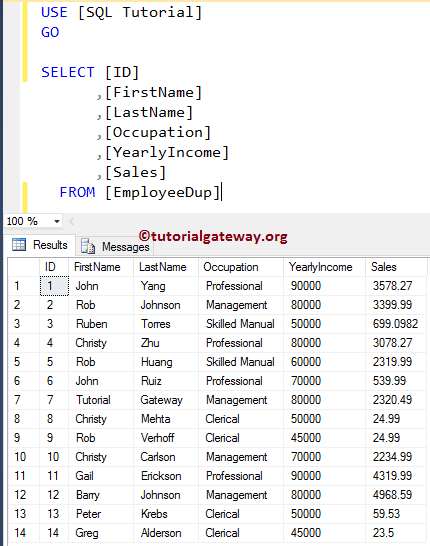 In this example, we will show you, How to use the WHERE Clause, along with the UPDATE Statement inside the Stored procedure. 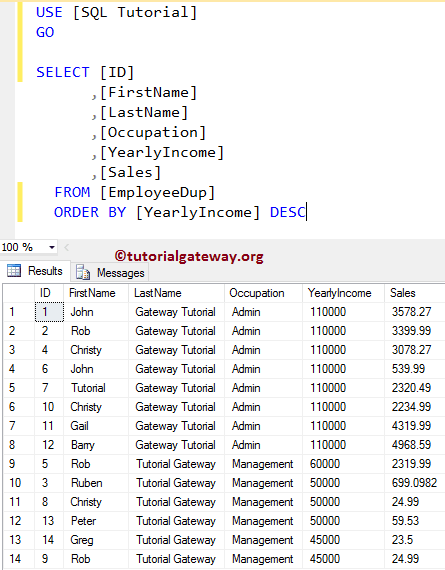 From the below code snippet you can see that, the procedure will update the Last Name as Gateway Tutorial, and Occupation as Admin for all the records present in the EmployeeDup table whose Yearly Income is greater than or equal to 70000. In this example, we will show you, How to create the update Stored procedures with parameters. In this example, we will use the Multiple parameters along with the Update statement inside the stored procedure. 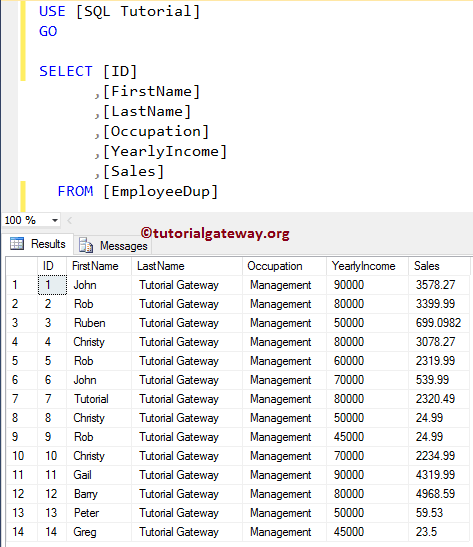 Following are the number of ways you can execute the stored procedure. Let me execute the sp. 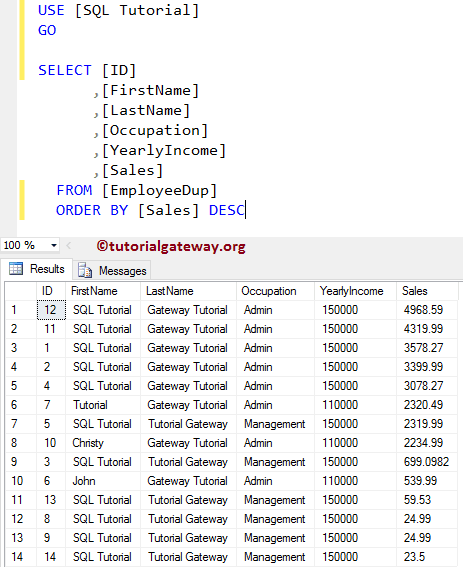 Use the below-shown query to check the result.